A QUARTER century after the first plantings were put in the ground at Jester Hill, the winery is set to tackle the export market. 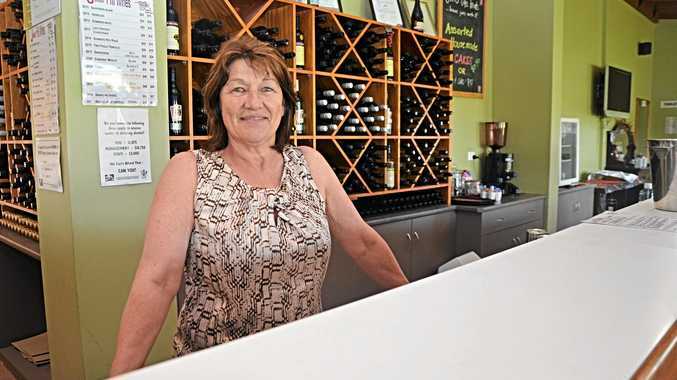 Ann Bourke and her husband Michael took over the winery in late 2010 and have steadily grown it from there. While they still identify as 'boutique', they're set to branch out to a wider market. "We're now at the stage where we have the consistency of quality and quantity,” Ann said. "It's a bit tricky when you are exporting. China and the US are our two main importers of wine from this region. "It's important to be ready and to make the right, or safe, contacts. "There are so many out there who are coming around and say 'we can export your wine for you', but want to pay nothing for it. "All the wineries up here make small parcels. We're boutique. "None of us are aiming at that supermarket level overseas. "We're expecting people to pay anywhere from $40-80 a bottle. We need to cover costs, make a small profit and get our name out there. She said it was critical to know the pitfalls before stepping into uncharted waters. Wine Australia works closely with the Federal Government to ensure wineries don't fall prey to unexpected hurdles. "The important thing is to know what the Government can do to support us,” Ann said. "It can often be really hard to navigate all that territory. "Things like intellectual property protection is so important. "There are so many people overseas, especially in the Asian market, that will take your label, turn it into something over there and say all of a sudden 'we're here selling Australian wine'. Ann said in order to navigate the process they decided to take advantage of workshops on the Granite Belt in May. Led by Wine Australia, the workshops will work with wineries to talk them through exportation, as well as wine tourism. "We're taking part in both workshops,” Ann said. The Growing Wine Exports workshop will be held on May 1, while the Growing Wine Tourism workshop will be held on May 13 and 14. Both will be held at the Queensland College of Wine Tourism. "It's basically giving you an idea of what you need to do to be ready. I think we do wine tourism well here but you can always do it better,” Ann said. To find out more or to register for the workshops visit www.wineaustralia.com.